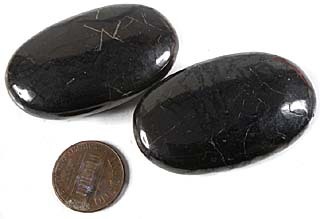 Black Shungite is approximately 30-35% carbon. 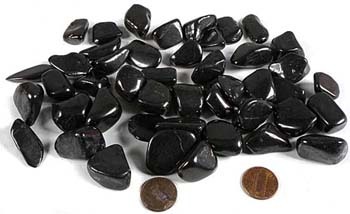 Black Shungite is commonly ground, shaped and polished into different forms such as beads, pyramids, etc. 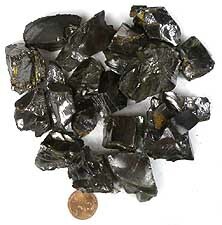 This is what our larger shungite products are made with. NOTE: Don't believe everything you read. 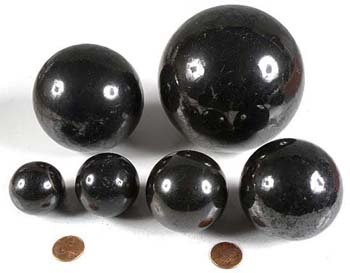 Black Shungite contains carbon, but it is mostly made up of other elements/metals/minerals. 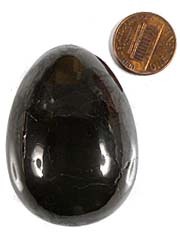 Black Shungite may contain arsenic, or other naturally occurring toxic minerals or metals. 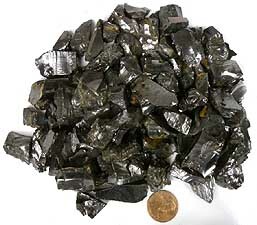 Therefore, NEVER use Black Shungite for any form of water purification. Silver Shungite is approximately 94% carbon and is too crumbly to be cut and shaped. 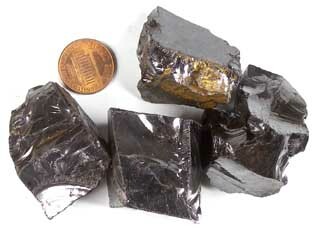 People can safely use Silver Shungite for water purification. 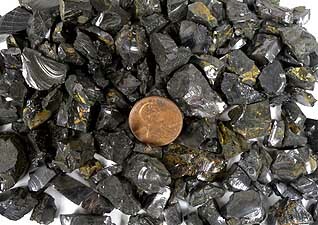 Petrovsky Shungite is approximately 70-80% carbon. 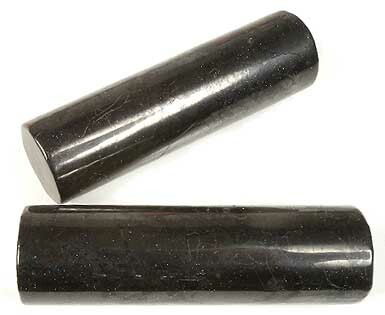 Petrovsky Shungite is the shungite used during the time of Peter the Great. It is very rare. Even though it has a very high carbon content, it can be ground, shaped and polished into different forms such as beads, pendants, etc. We have a very limited supply of Petrovky Shungite products. 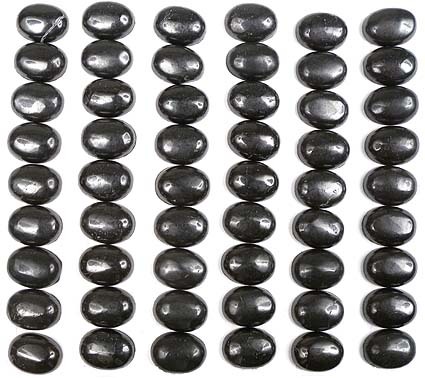 PLEASE NOTE: We are currently out of Petrovsky, except in tumbled stones and 6mm bracelets..
Silver Shungite is often referred to as "Noble Shungite" or "Elite Shungite" and is a purer, rough form of this unusual material. Sold in 200 gram parcels. 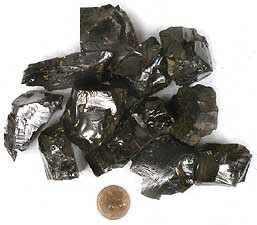 Photo is a representative sample of extra-extra small silver shungite. 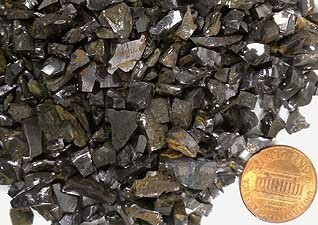 Photo is a representative sample of extra-small silver shungite. Photo is a representative sample of a 200 gram parcel. Silver Shungite is often referred to as "Noble Shungite" or "Elite Shungite"and is a purer, rough form of this unusual material. 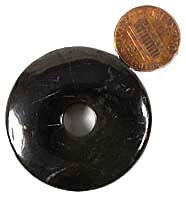 Pendulum with shungite bead at one end and shungite bob at the other. 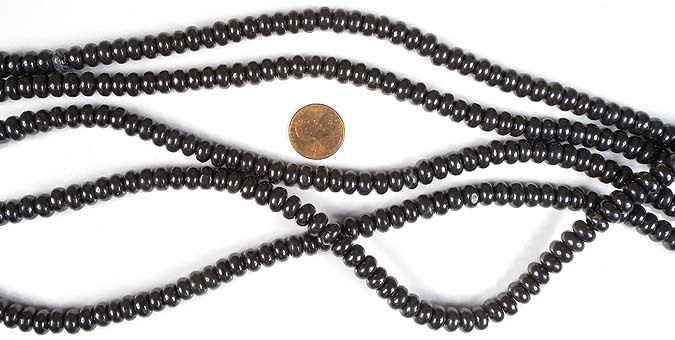 The bead is 8mm and the bob measures approximately 37mm long x 19mm at the widest point. The chain is about 8" long. 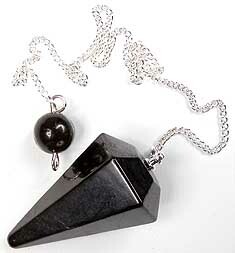 Item number: Pendulum2SK - Faceted Shungite Pendulum - $8.50 each SALE: 3 for $19.50! These Mobile Phone Plates have peel-off pressure sensitive adhesive on one side so it can be easily attached to your cell phone. Photo is a representative sample. 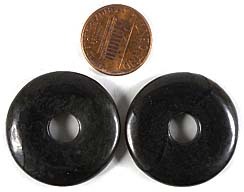 Measures approximately 24mm x 15mm (1" x 5/8"). Cylinders are also know as "harmonizers". They measure approximately 100mm long x 30mm. Sold as a 2-piece parcel. ShungiteWand1SK Measure approximately 4-1/4 to 5" long Approx, 0.65 to .080 kg. $16.00 ea. 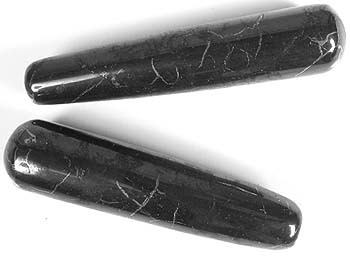 ShungiteWand2SK Measures approximately 5 to 5-1/2" long Approx. 0.65 to .075 kg. $15.00 ea. 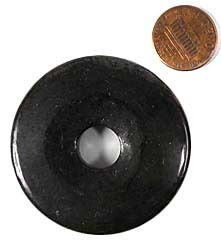 ShungiteWand3SK Measures approximately 3-1/4 to 4" long. Approx. 0.35 to .050 kg. $10.00 ea. 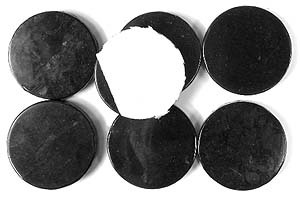 Set of five Platonic Elements in Shungite.